Because of the endless stream of negative news coming out of China, Premier Li Keqiang had to grasp this opportunity to blow his own horn at the World Economic Forum meeting in Dalian Sept. 9. He is convinced China will keep growing at high speed and that the transformation of the economy is progressing as the regime finds new sources of growth and undertakes reforms. The only problem with these statements is that his own “Li Keqiang Index” is saying the exact opposite. According to a leaked memo by the U.S. Department of State, Li told a U.S. official in 2007 that the official numbers were unreliable and that he uses three proxies to better estimate growth in the economy: railway cargo volume, electricity consumption, and new loans disbursed by banks. 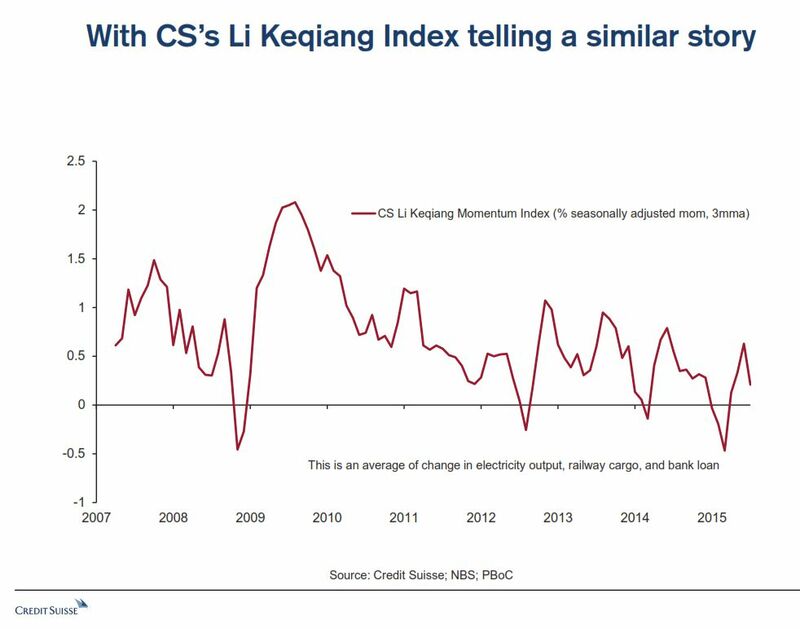 According to an analysis by Credit Suisse, which replicated the index using exactly the three inputs Li mentioned, growth in China has just about come to a standstill. 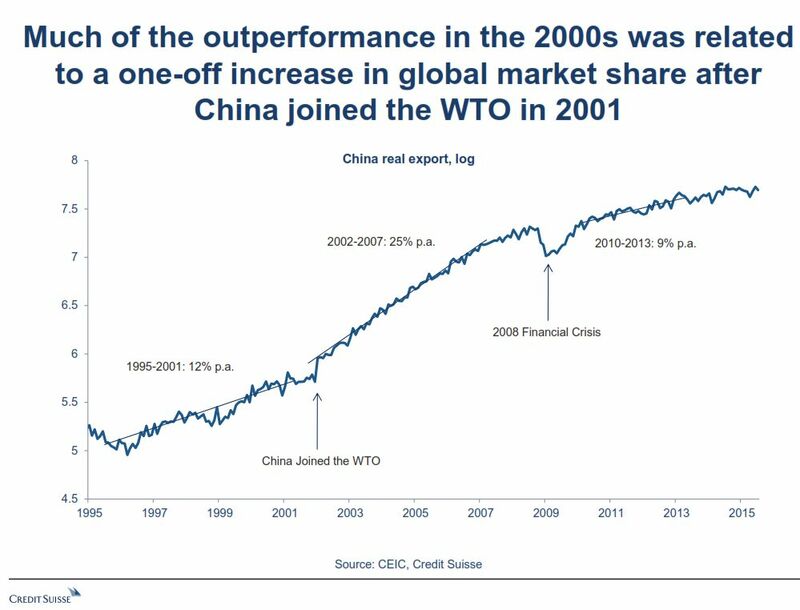 Credit Suisse said rapid Chinese growth was mostly due to a one-off boost of joining the World Trade Association in 2001. As land prices, labor prices, and the currency have risen, China has lost a lot of its competitive advantage compared to countries like Mexico for example, but also other South East Asian nations. Even worse, the analysts said that the regime’s envisioned shift from investment to consumption is not happening and also likely won’t happen in the near future. Investment as a percentage of GDP has been around 45 percent since 2009 and is actually related to consumption. 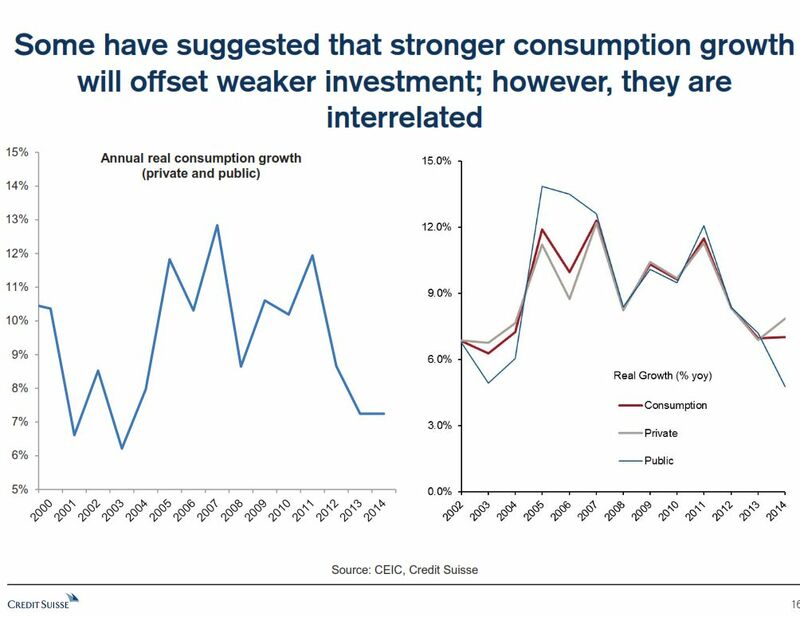 If investment falls, so does consumption. This makes sense as investment in real estate for example brings about the consumption of appliances and furniture to name just one example. Will China Join the Currency Wars? 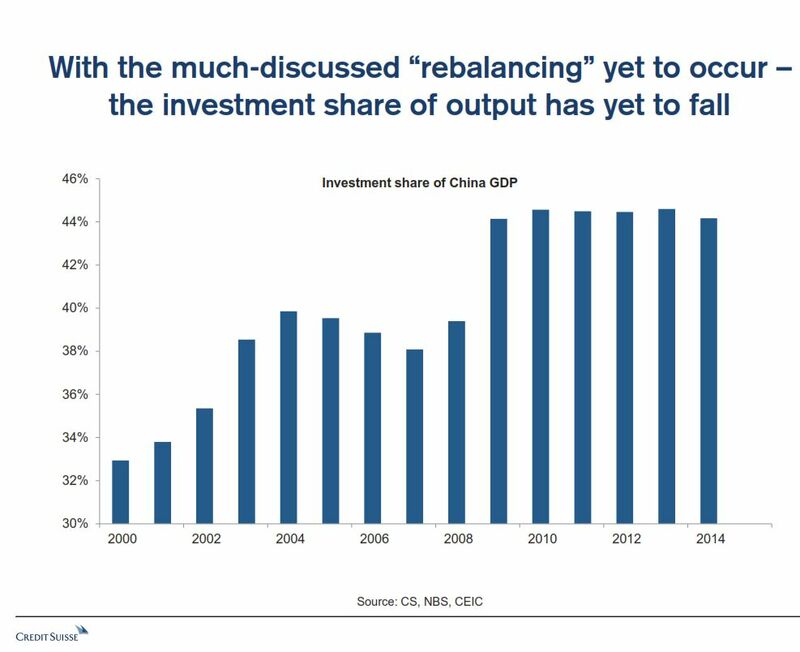 Investment also provides employment, which feeds through to consumption, although China’s economy is one of the worst when it comes to income inequality. So as investment slows, consumption (36 percent of GDP in 2013) slows as well. 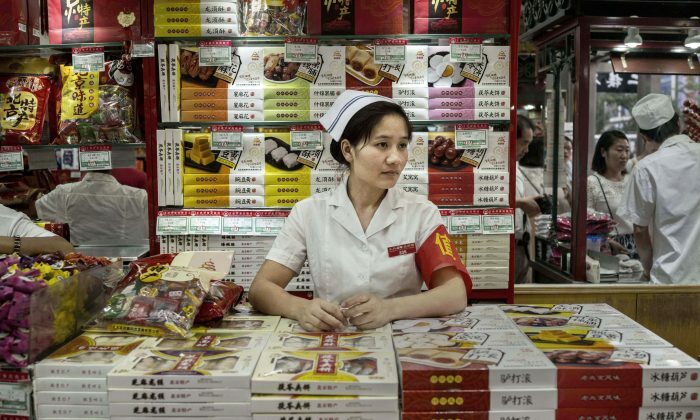 Unfortunately, the reality is that the Chinese currency is around 15–20 percent overvalued and therefore will have to go down further sooner or later, regardless whether Li is still drinking the Kool-Aid.